Let's back up so I can give y'all some info on them first. 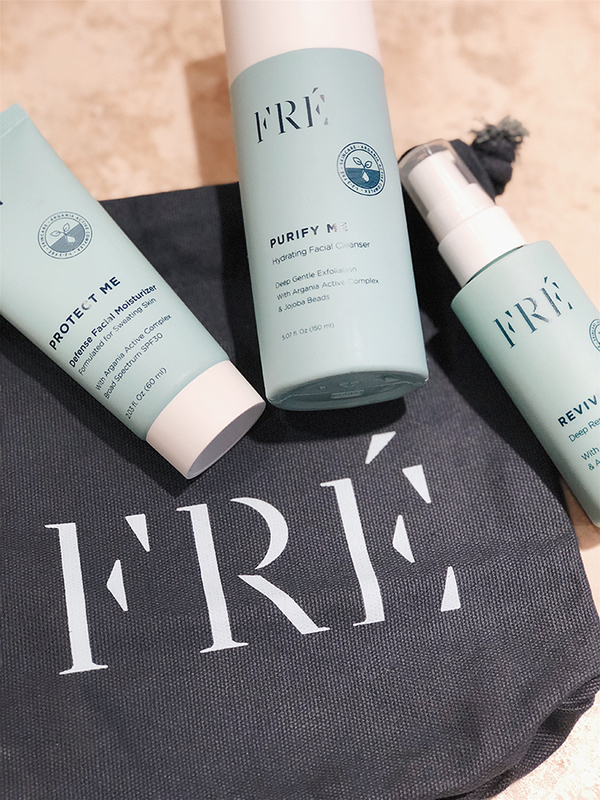 FRÉ uses a unique formula of Argan to combat environmental factors like sun exposure and premature aging, as well as feeling natural and lightweight enough to wear daily. You'll find their formula to be vegan, cruelty-free, and jam packed with antioxidants, Argan stem cells, essential fatty acids, and sterols. Read more about these amazing ingredients and their benefits here. The 123FRÉ Set (what I've been using) is a 3-step program geared towards women who are active and/or spend a lot of time outdoors and are prone to sun exposure. Each step has a specific use and benefit to your skin, making it a pretty darn well-rounded routine. I also love that this set should last you for three full months (maybe even longer) meaning you don't have to repurchase each month! Now let's break it down step-by-step. Your routine starts with this ultra-light SPF30 moisturizer, called PROTECT ME. Let me first say that if you're not already wearing sunscreen daily, please please please just start there! Protecting your skin from the sun is one of the easiest and most important things you can do. I like this one because it's water-resistant and won't clog your pores unlike a lot of other thick and oily sunscreens. If you take nothing else away from this post, let it be this: always wear a daily sunscreen. Your skin will thank you forever. The last and final step is using the REVIVE ME serum, which provides the skin with vitamins and minerals, all while helping to regenerate collagen and elasticity post-workout. I absolutely love this serum and all that it fights against! 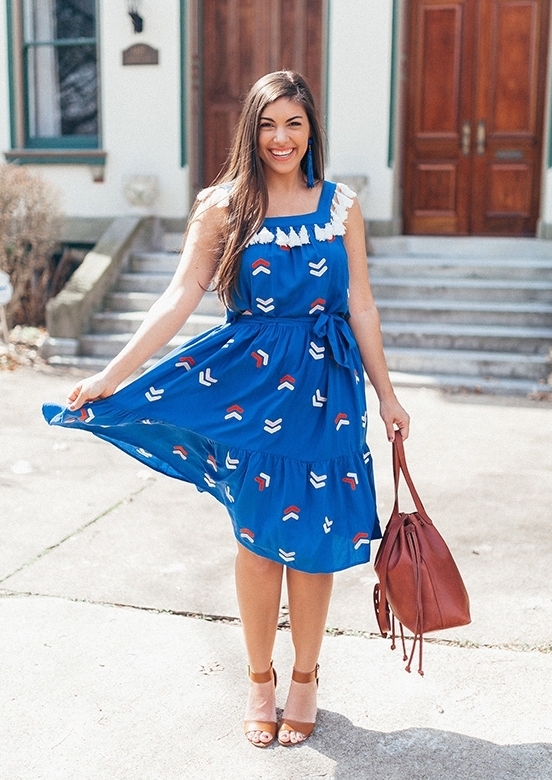 You only need about a pea size, so a little goes a long way (yay!) and it seriously leaves my skin feeling SO soft! As a twenty-something, it's easy to throw caution to the wind when it comes to skincare and spending money on good products, but I'm learning more and more that the time to start caring is now. I feel like this is a perfect new product to throw into my mix that I know is going to benefit me short and long term! Now that we've started the skin convo... 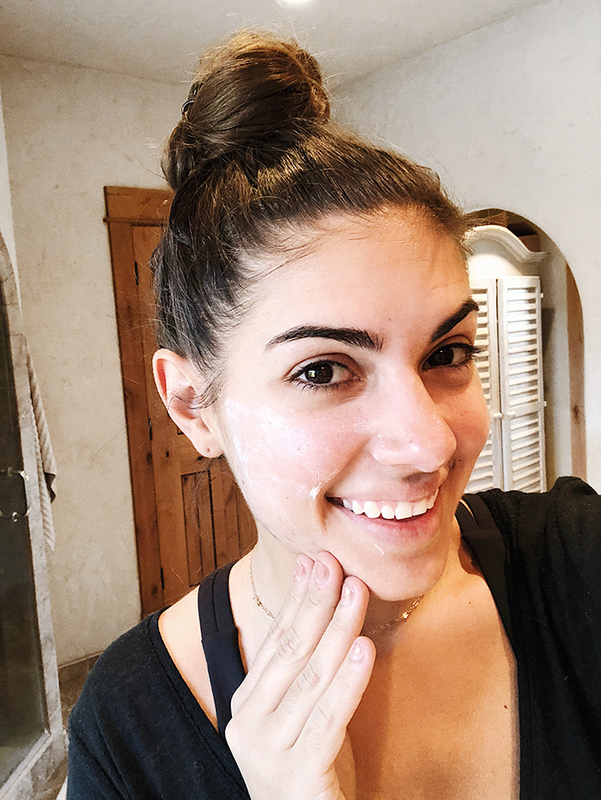 I've gotta know... what are your tips and tricks for healthy, glowing skin!? Post created in collaboration with FRÉ Skincare. All thoughts and opinions are my own!